which simply places all files in (subdirectories of) A/ in B/ and vice versa, skipping files that already exist. 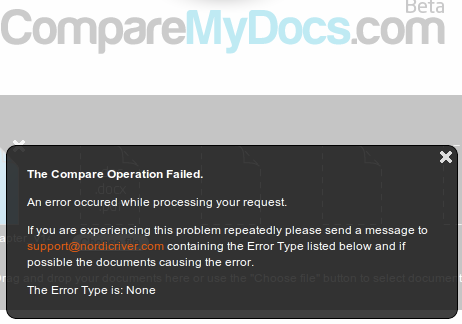 If the transfer is interrupted and restarted however, it will not resume the copying of a file that had been partially copied earlier but otherwise this is a very simple and easy way to get the two-way archiving job done! I love my Queensland ginger beer so it's hardly necessary for Facebook to pitch it to me in the ads on the right of the page but they should really work on their (machine) translation! 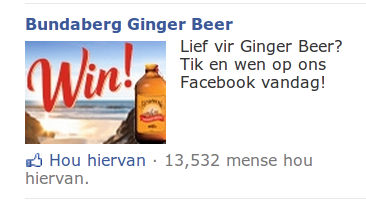 Since Google Translate gets “ginger beer” correctly as “gemmerbier” in Afrikaans, there is really no excuse. In the end I clicked the Like button anyway since this was so much better than some of the other things that they've been trying to get me interested in.